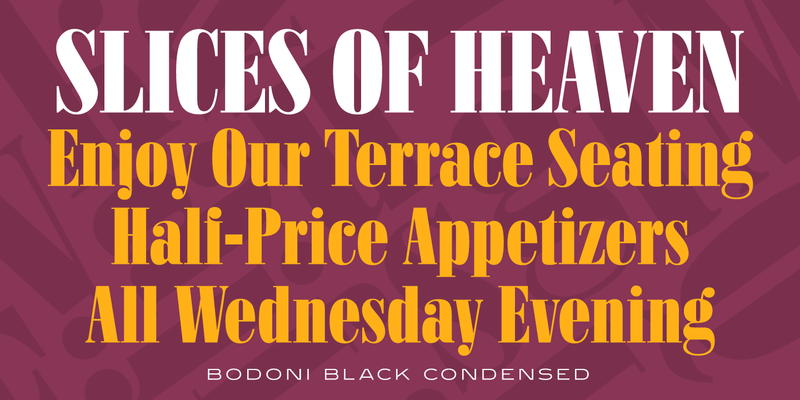 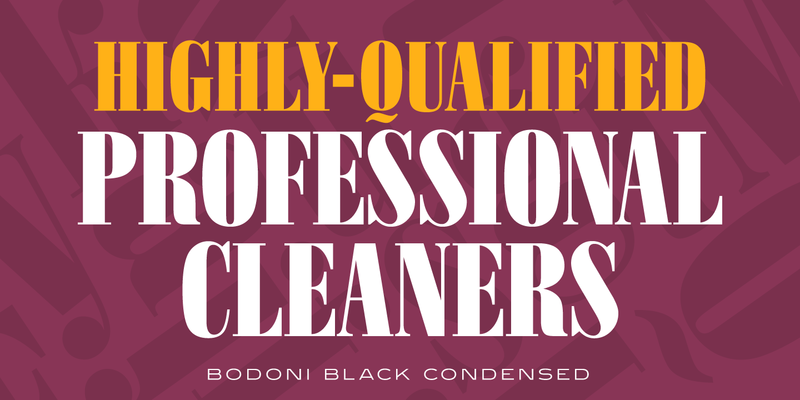 Bodoni Black Condensed is a condensed fat face serif typeface, exclusively licensed from the Ludlow Collection. 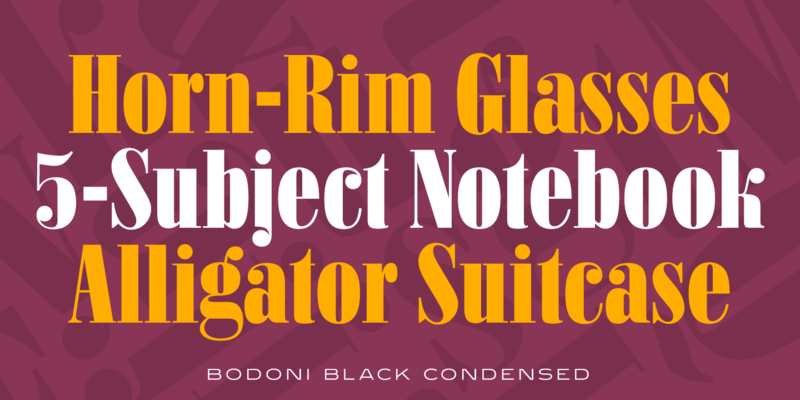 The original was designed by R. H. Middleton for Ludlow, circa 1930, and Steve Jackaman (ITF) produced a digital version in 1998. 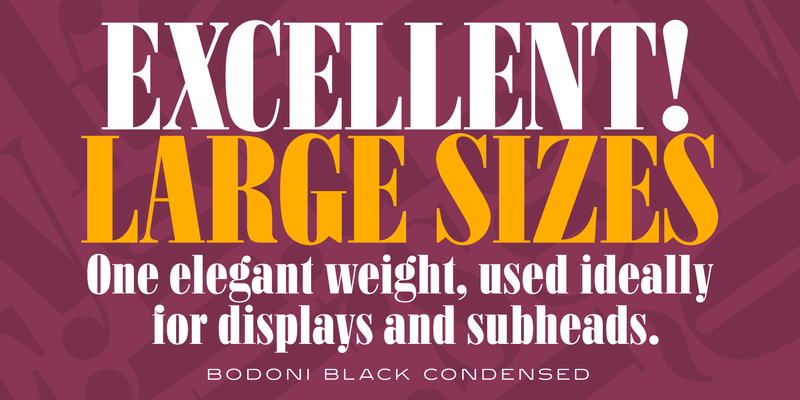 Bodoni Black Condensed shines at display and subhead sizes, and its rounded ends give it a comfy feel. The lowercase k, g, j, and i are fan favorites, and the font is particularly impactful when used in all caps. 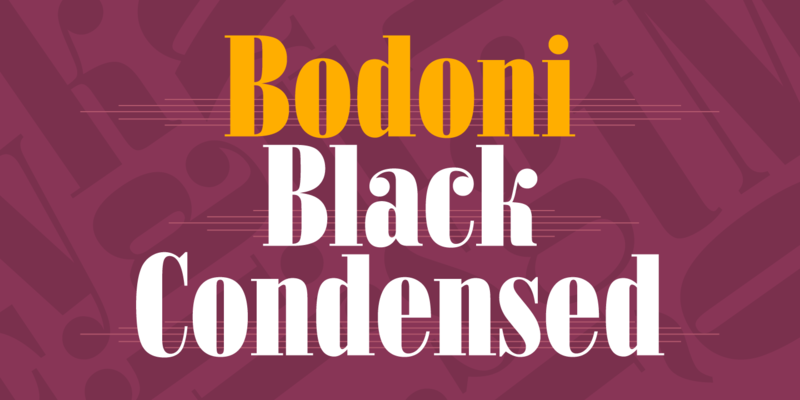 Bodoni Black Condensed is a trademark of International TypeFounders, Inc.